Gastroesophageal reflux disease, or GERD, is a condition characterized by the backflow of stomach acid into the espohagus. GERD causes a laxity in the band of muscle called the lower esophageal sphincter, which normally prevents this backflow of acid. Heartburn, nausea, a sensation of food stuck in the throat, a dry cough, bad breath and a hoarse voice are all possible symptoms of GERD, according to the American Academy of Otolaryngology. Avoiding certain foods that aggravate the symptoms is one aspect of GERD treatment. Fatty foods can aggravate GERD symptoms. Fried foods and other meals high in fat delay emptying of the stomach and also cause the lower esophageal sphincter to relax, according to the McKinley Health Center of the University of Illinois at Urbana-Champaign. It is recommended that GERD sufferers keep a food journal documenting foods eaten and symptoms that occur in order to find specific trigger foods to avoid. Peppermint tea, gum, candy and other foods or beverages flavored with peppermint should be avoided by GERD sufferers, according to the University of Maryland Medical Center. Peppermint causes the lower esophageal sphincter to relax, allowing the reflux of stomach acids and worsening symptoms. Reducing or stopping the intake of alcoholic beverages is recommended to diminish GERD symptoms, according to an article titled "Head and Neck Manifestations of Gastroesophageal Reflux Disease" by Vanita Ahuja, M.D., in the journal "American Family Physician." 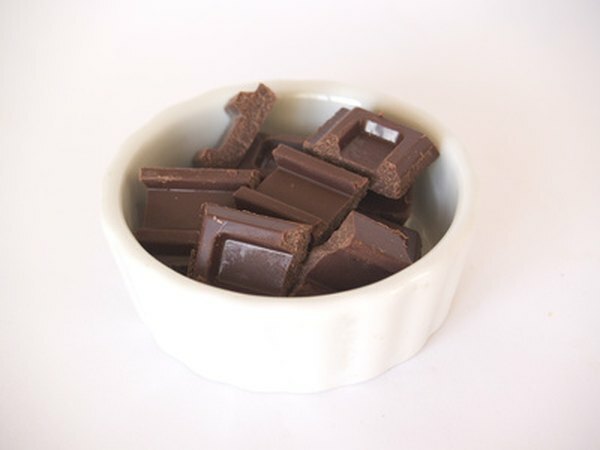 Chocolate should be avoided by those with GERD. Chocolate contains a chemical called methylxanthine that relaxes the lower sphincter of the esophagus, McKinley Health Center says. Avoidance of irritating foods can reduce heartburn and damage to the lining of the esphagus when acid reflux does occur, the American College of Gastroenterology explains. Acidic foods, such as citrus fruits and juices, and tomato-based foods, such as spaghetti sauce, pizza and chili, are foods that are considered irritants. Hot peppers, spicy foods and carbonated beverages also aggravate GERD and should be avoided.